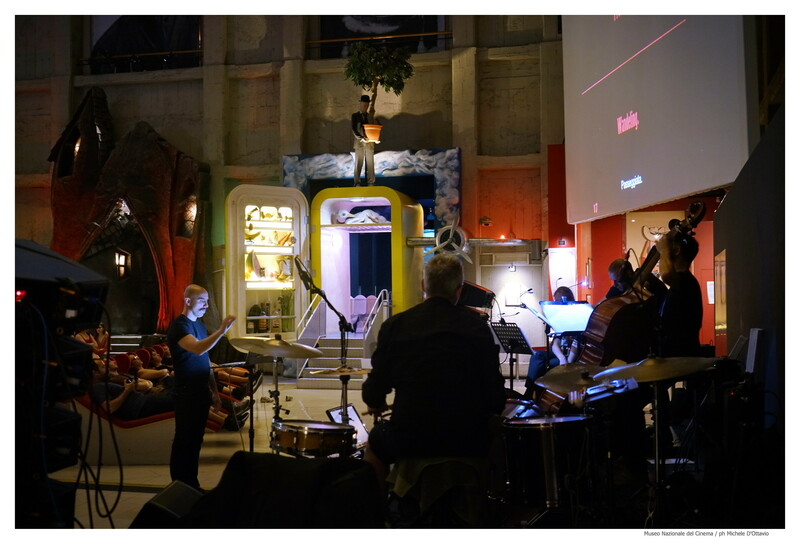 Together with Mauro Lanza we’ve been invited to play Regnum lapideum for the IRCAM season hosted at Centre Pompidou, played by Ensemble 2e2m. Some info here. Pics courtesy of Herve Provini here. Published on March 22, 2019 2:44 pm. I’ve been in Udine for the XXII Colloquium on Musical Informatics (CIM), the meeting of AIMI, the Italian association for computer music. I gave a workshop on algorithmic composition, presented a paper and gave a tutorial lecture on SuperCollider. Now waiting for proceedings. Published on December 7, 2018 10:20 pm. 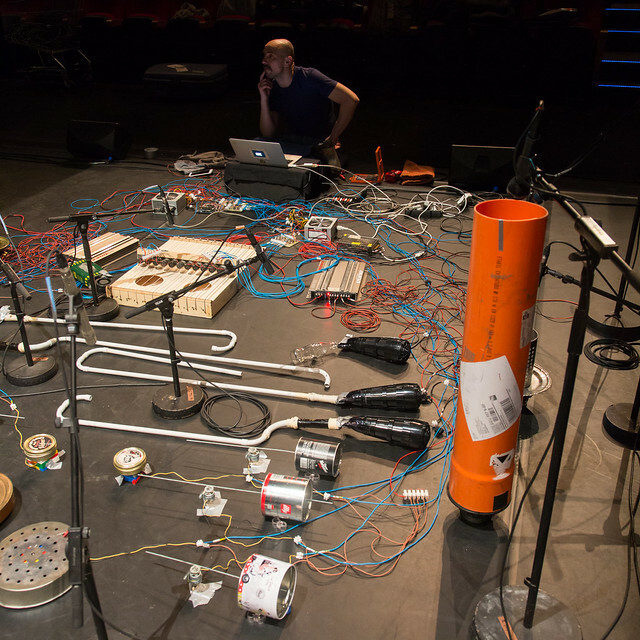 I’ve been invited to hold a masterclass in physical computing/SuperCollider at Conservatorio di Vicenza, by GRAIM. Published on October 25, 2018 10:09 pm. 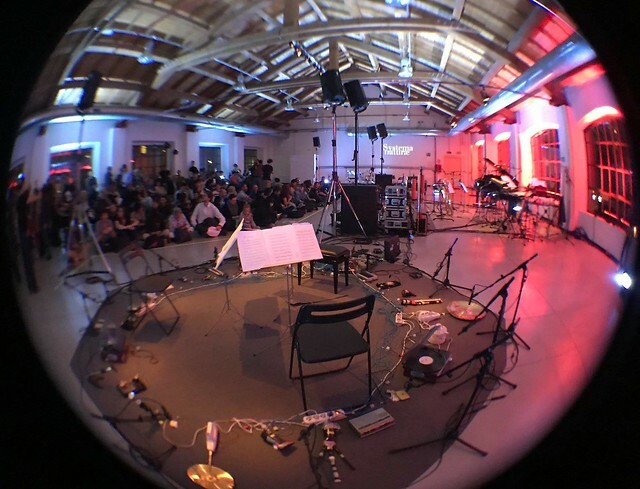 mdi ensemble wonderfully played the whole Systema naturae cycle that I co-composed with Mauro Lanza at Fabbrica del vapore, Milano, 11/10/18, a production by RepertorioZero. Incredible sold out! We also had the chance to discuss with Marco Ferraguti (Italian translator of my cult author S.J. Gould). Pics here. A very interesting review by Renato Rivolta is here. Published on October 25, 2018 9:49 pm. 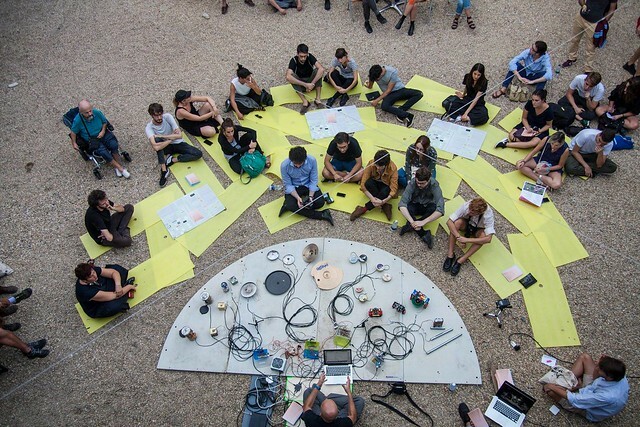 I’ve been invited to participate in Theatrum Botanicum by Almare at PAV, Parco Arte Vivente, Torino. In the occasion, Almare presented a booklet dedicate to Systema naturae and, in the occasion, I rebuild my good ole Rumetarium setup. Pics here. Published on October 25, 2018 9:25 pm. With an incredible quartet made up of Federico Marchesano and Stefano Risso (double basses), Dario Bruna (drums) and Enrico Degani (guitars), plus Carlo Barbagallo as a producer, we sonorized at Mole Antonelliana in Torino, as a collaboration with Museo Nazionale del Cinema, Il jockey della morte, a silent film from 1915. Lots of fun composing the music and playing in such a location. Pics here. Published on October 25, 2018 9:07 pm. Back to Bologna. Very happy to be invited to participate in the presentation of the volume dedicated to Eco by the Library of Living Philosophers. Published on June 13, 2018 9:37 pm. I’ve been invited to discuss algorithmic composition and automatic notation at the Conservatorio D. Cimarosa in Avellino. It’s been a very nice occasion to introduce some experiences I developed since 2005. Published on June 13, 2018 9:31 pm. I had the pleasure to discuss about spatialized sound in cinema with experts and sound designers at Università La Sapienza in Rome. Published on June 13, 2018 9:24 pm. Published on June 13, 2018 9:17 pm.